This large poster was created for the Anfachen Awards competition with a theme of “Tolerance”. 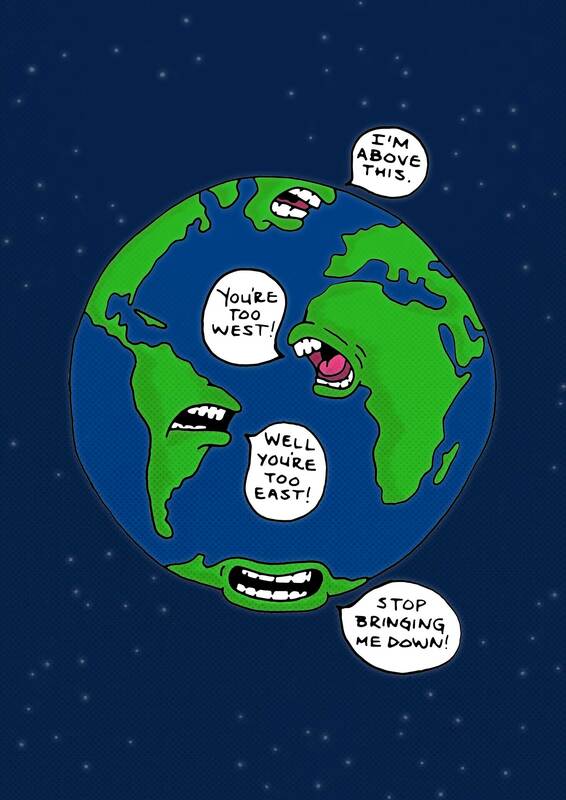 Meant to be taken in a light-hearted nature, this poster is a sarcastic and cynical representation of global conflict. The poster was first hand-drawn, then digitally painted featuring bold colors and a ben day dot pattern to give it the feel of being a comic illustration. 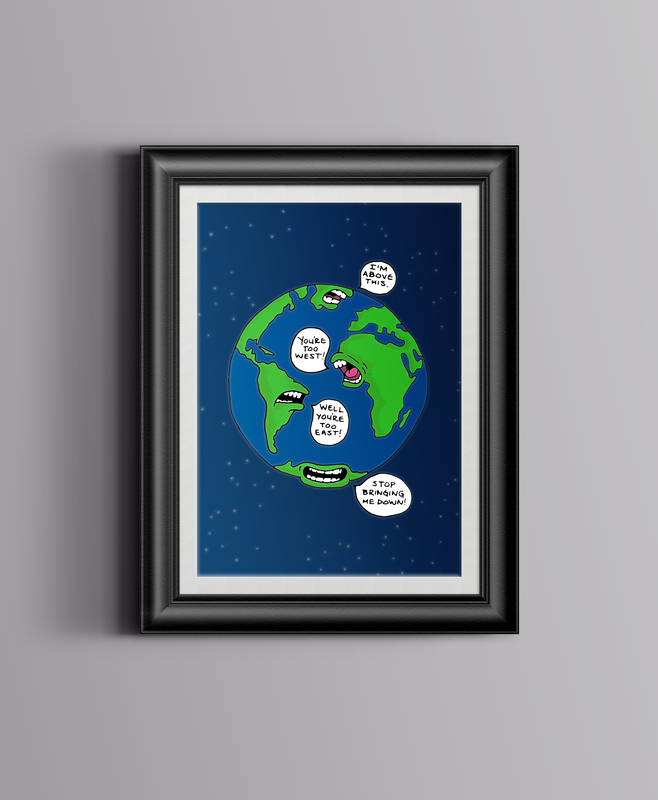 The “characters” are personified continents around the world arguing with each other, yelling map-based puns at each other rather than having a serious logical conflict.